These Key to Success awards are ideal to recognise and reward performance in new fields, new markets and new territories. Crafted in premium optical crystal with hand-finish bevels, it has dimensions of 2 1/2in x 7in x 3 1/8in and weighs 3.5lbs. 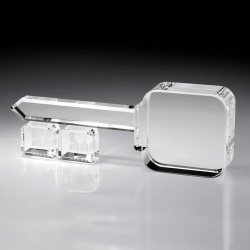 Each crystal key award is supplied with a deluxe presentation box. Key-shaped award in premium optical crystal. 3 1/2in x 9 5/8in x 1 1/2in. 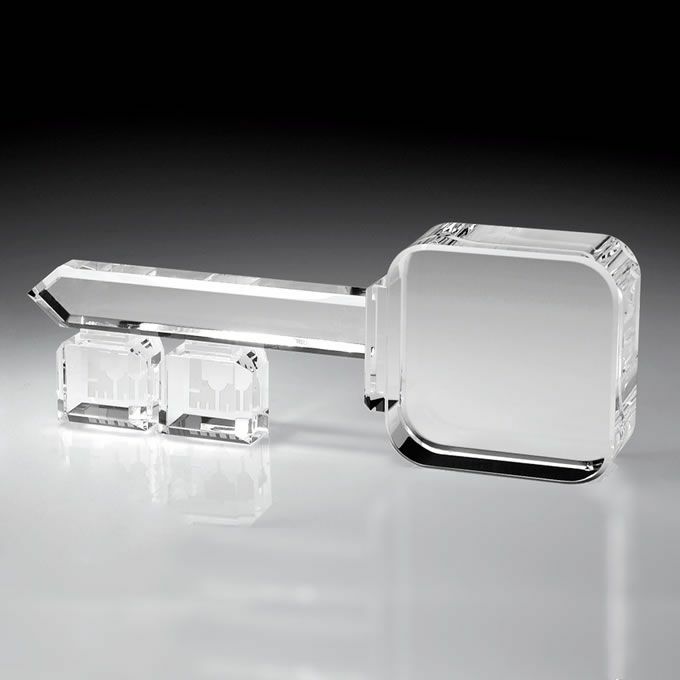 Key-shaped award in premium optical crystal. 1 1/8in x 3 1/4in x 1/2in.